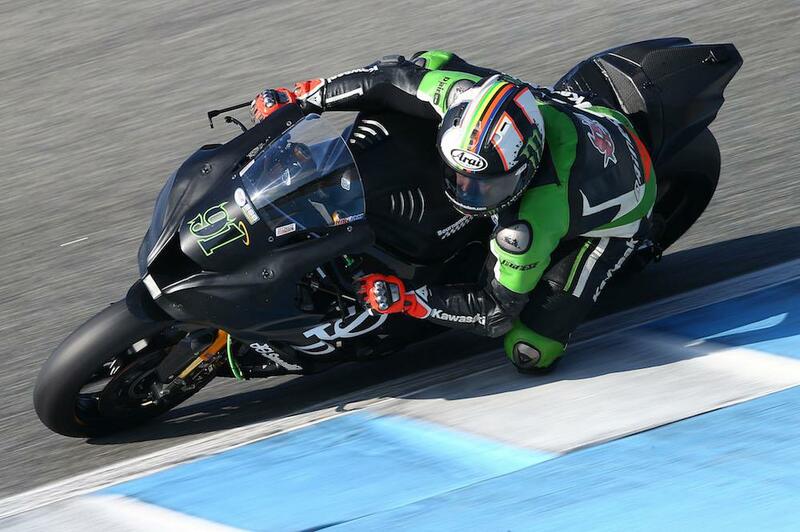 Leon Haslam will join the Puccetti Kawasaki World Superbike team for testing in Portimao this weekend after Randy Krummenacher was injured at Jerez. Krummenacher was involved in an incident with Eugene Laverty on Wednesday afternoon at the Spanish track, with both riders tumbling into the gravel trap at turn one. Laverty walked away from the incident battered and bruised, but Krummenacher will sit out his team’s second planned test in Portimao this weekend. Having successfully wildcarded for the Pedercini team in Qatar, as well as a strong showing at the Jerez test on his BSB bike, Haslam will stand in for the Swiss rider as the Puccetti team continue their preparations for the opening round of the 2017 Superbike World Championship next month. A test on a full-fat WSB bike will do Haslam no harm with plans in the pipework for a number of Kawasaki wildcards in various series in 2017, including the possibility of an appearance at the UK round of WSB at Donington. Haslam joined his new JG Speedfit Bournemouth Kawasaki team for the first time in Jerez this weekend, lapping at 1’41.928 to place 13th in the combined WSB/BSB test. “This week’s test was really good, it was a roll out test so it was mainly running stuff in and figuring things out really. There were no performance or race runs. We had a few things to test including a swing arm and a clutch and we've changed to Ohlins suspension so had to work on that too. Our fastest time came on a hard tyre and I felt pretty good overall."